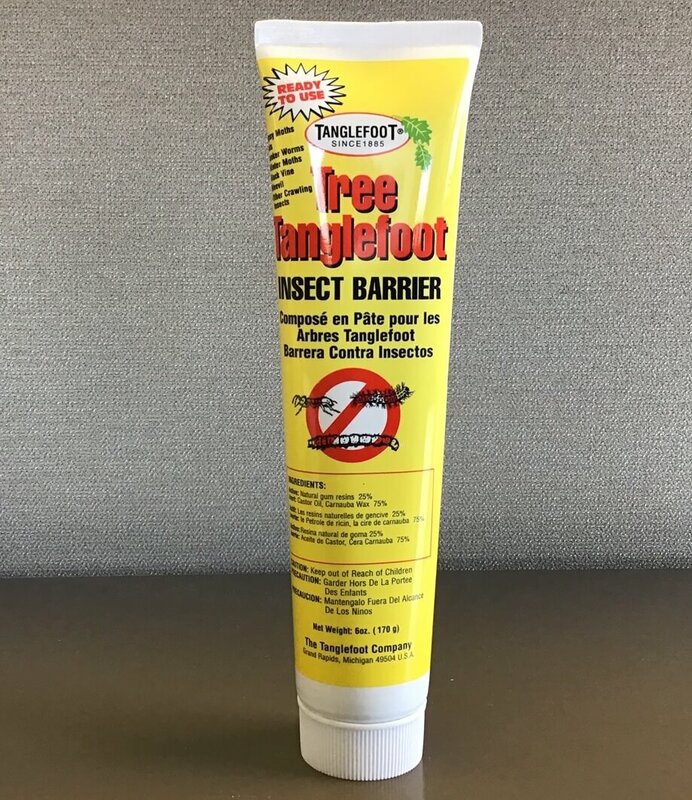 View cart “Tanglefoot Tree Care Kit 777” has been added to your cart. Squirrel Buster Mini Wild Bird Feeder 658 is built tough with quality material to resist damage from squirrels, corrosion and UV degradation. It is very effective against Red and Grey Squirrels and even some of the larger nuisance birds. How it Works: Openings in the mesh shroud align with the four seed ports, providing birds access to the seed. When a squirrel climbs onto the feeder, its weight automatically pulls the shroud down past the seed ports, completely closing off access to the seed. Squirrels and large birds are not harmed in any way! Seed ports have perches for chickadees, finches, sparrows, buntings, grosbeaks and cardinals while the mesh shroud provides a clinging surface for nuthatches and woodpeckers to name a few. Squirrel proof design saves food. The open mesh design and patented ventilation system allows for air circulation keeping seed dry and minimizing loss in hot/humid weather. Detachable components allows for easy cleaning with no tools required. Feeder is 100% recyclable and certified lead free. 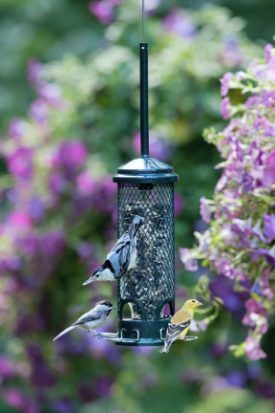 Enjoy many years of bird feeding enjoyment with this top of the line feeder! Squirrel Buster Mini holds approximately 0.6 kg (1.3 lb) of seed.